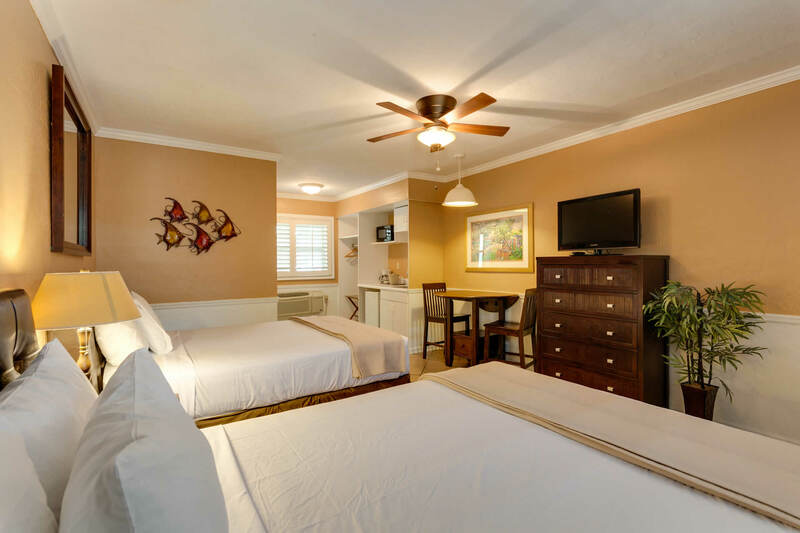 Designed embrace the beauty of the tropics and encourage rest and relaxation, Lemon Tree Inn offers 34 guest rooms. Rooms offer either a king-sized bed, a queen or two queen beds. Room amenities include a microwave, mini-refrigerator, and coffee machine. A flat-screen cable TV is also provided. 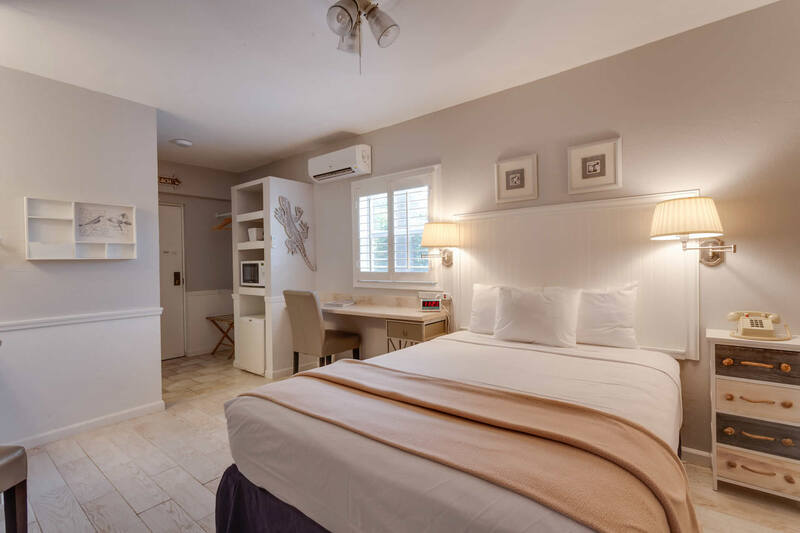 All rooms have a patio, private bathrooms, air-conditioning, hair-dryer, iron, alarm clock, telephone and free Wi-Fi. 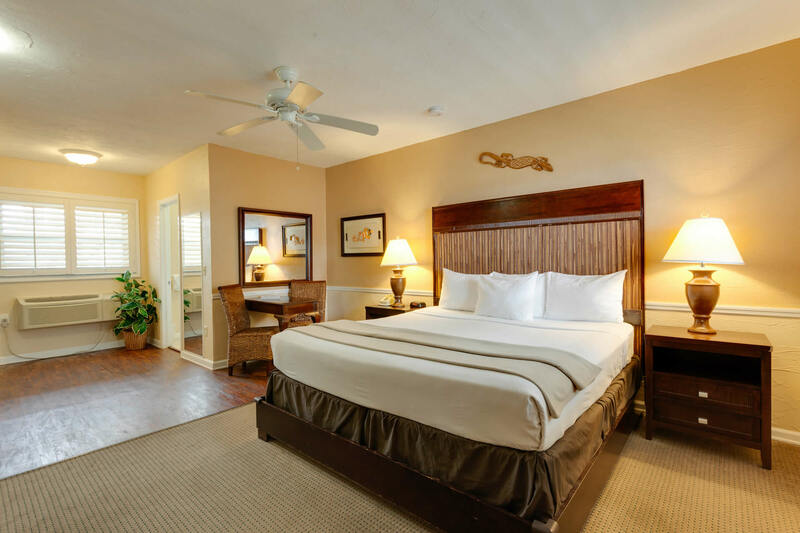 Caribbean-inspired, clean, and comfortable, rooms are non-smoking and face the pool or courtyard garden. King rooms are individually decorated and offer an outdoor patio creating the perfect tropical retreat. Rooms are non-smoking and face the pool or courtyard garden. The King rooms are 257 square feet or more. The hotel rooms with two queen beds are popular with friends or family traveling together. Rooms are non-smoking and face the pool or courtyard garden. The rooms are approximately 320 square feet. The queen standard rooms feature a queen bed with light and airy interior decor. Rooms are non-smoking and most face the pool or courtyard garden. The queen standard rooms range from 211 square feet or more. 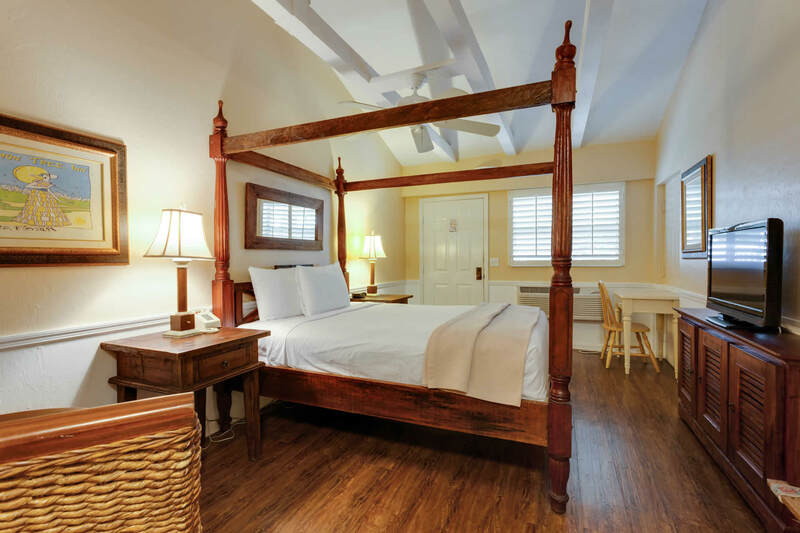 Lemon Tree Inn offers six queen rooms with plantation-style four-poster beds. Rooms are non-smoking and face the pool or courtyard garden. The queen four poster rooms are approximately 257 square feet. 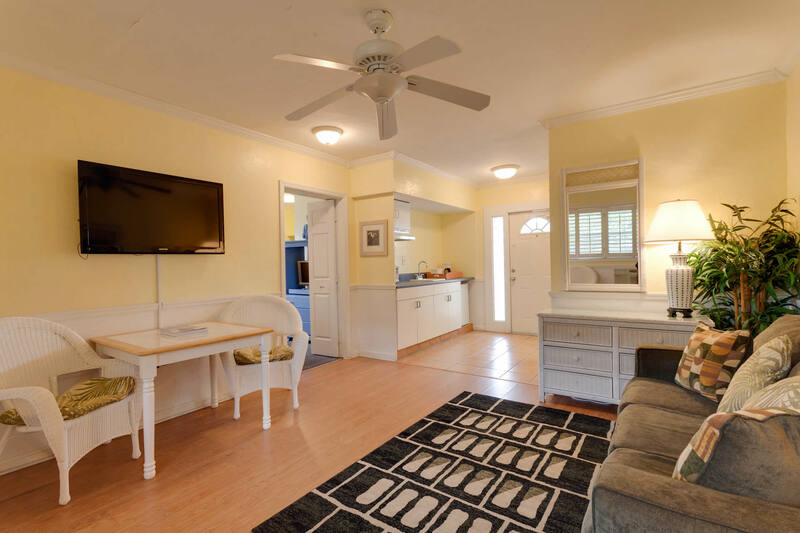 The spacious and bright suite features a king bed in a private bedroom complete with a bathroom and TV, the living room has a TV and a queen sofa bed, bathroom and kitchenette. The Suite is approximately 565 square feet.